with Our Memberships & Subscription Extension for Joomla! PayPlans is loved by the Joomla! community. Based on JED ratings of over 103 users & counting. The one stop solution for any e-Commerce site in Joomla!, PayPlans makes creating, selling and managing subscriptions a whole lot simpler. Take control of user subscriptions and easily access important information on the site. Retrieve and download important personal data directly from the dashboard. View the entire listing of new and old subscriptions made on the site. Update important details that will also be reflected in users' invoices. Renew, upgrade, cancel any recurring subscription or follow-up on any incomplete pending payments easily. View or download the latest invoices in PDF format conveniently from the dashboard. A bird's eye view of some of the most important numbers and statistics generated from the site. View the overall revenue generated for the past 7 days. View the overall plans subscribed for the past 7 days. Quickly upgrades PayPlans whenever a maintenance update is available. 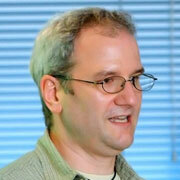 View snippets of the latest news and happenings from Stack Ideas site. Everything you ever needed to manage and monitor subscriptions performed on the site. Create, update and monitor transactions or history logs on every subscription. Create, update and monitor every changes made on every invoice. Configure custom details to be collected as additional information from users. 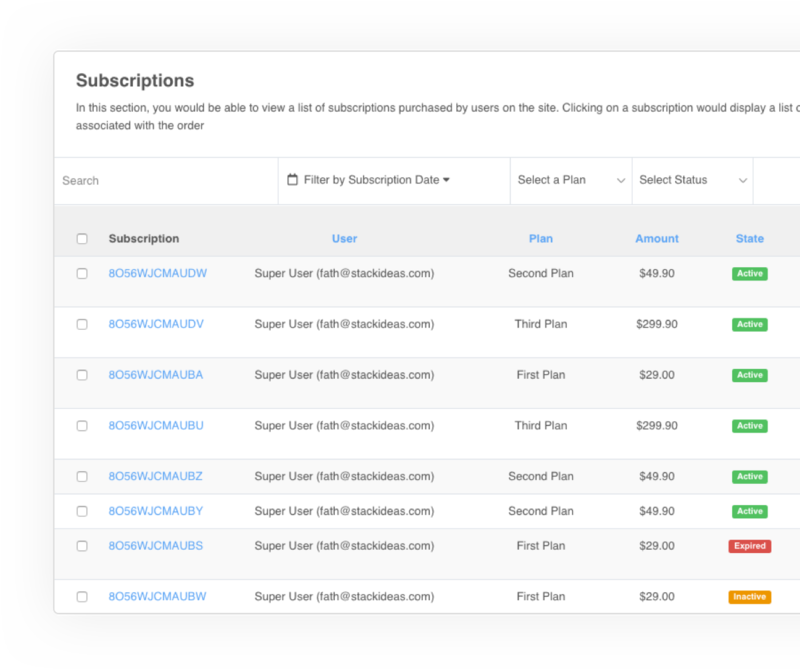 Extensible settings that allows you to own a diverse range of subscriptions and memberships on the site. 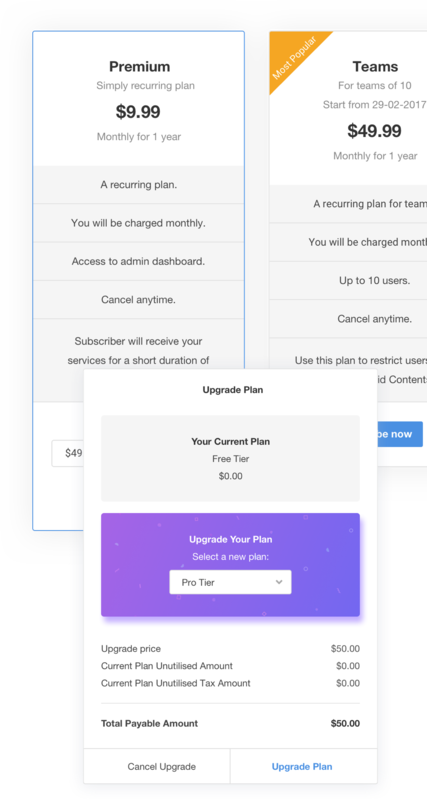 Create free and premium plans, whether one-time, recurring, trial or even lifetime subscriptions. Highlight and style any plan with different badge position, background color & text colors. Sort similar plans according to its interest or product type. Create upgradable plans that allow users to pay only with the price difference. 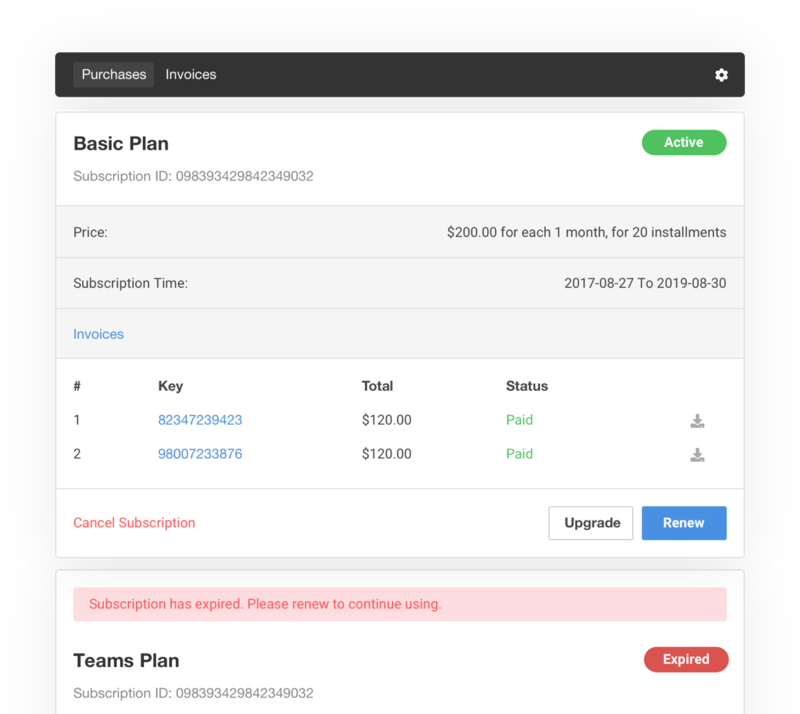 Create renewal plans for users to extend their existing subscriptions. Create or generate coupon codes as incentive to encourage user retention. Create plans that allow plan conversion according to its title, price and time. Create plans of different quantity and price variations. Cross sell or recommend plans that might interest users on top of the main subscriptions. Limit the number of subscriptions for each subscription status. Intuitive statistics on the overall performance generated on the site. 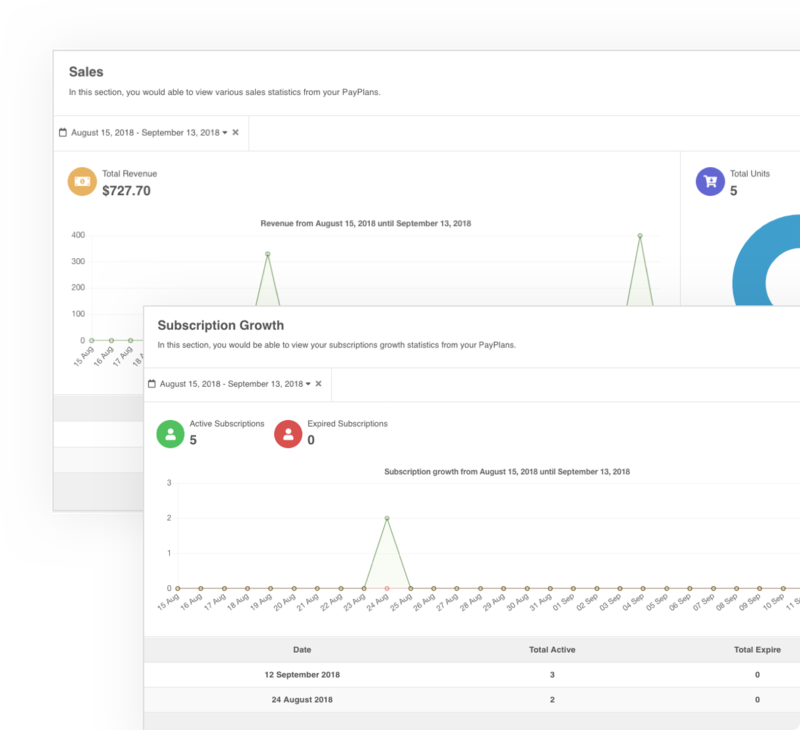 Overview of the generated sales and revenue. Overview of the generated growth. Overview of the generated subscription renewals. Overview of the generated plan upgrades. Give PayPlans a try today! PayPlans is the best membership & subscription extension for Joomla. Backed by our 30-day money back guarantee. Essential tools when handling and managing users in PayPlans. 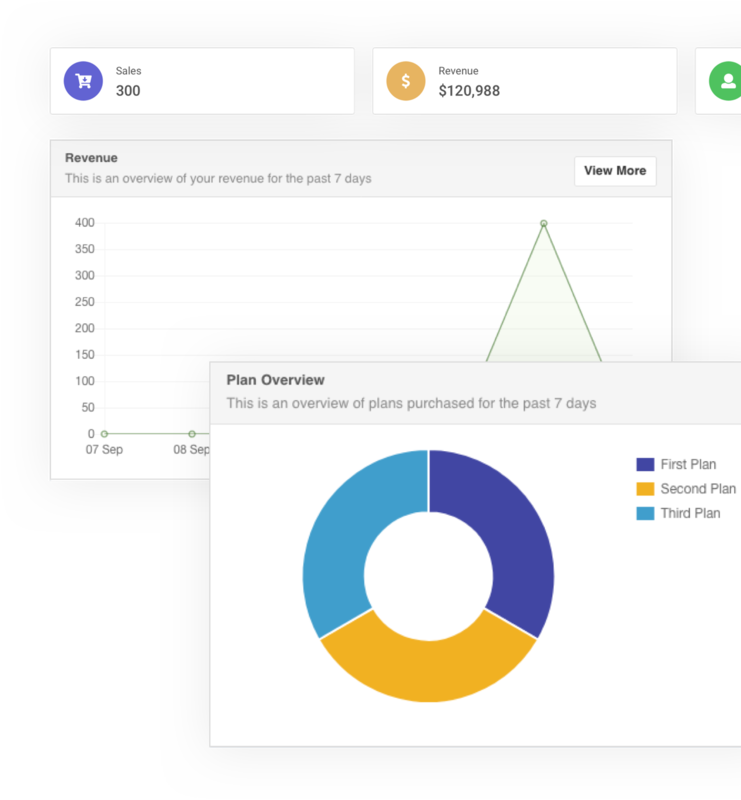 Display the overall subscribed plans of all users on the site. 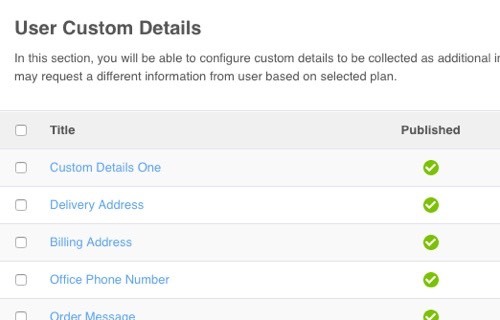 Configure custom details as additional information on specific plans. These information can also be edited from user's preferences page. 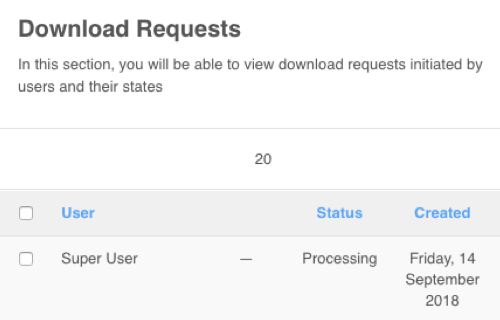 Keep track of all download requests initiated by users and the current status of file downloads. Supports up to over 20 payment gateways and counting. A lineup of over 20 applications from popular 3rd party extensions to enhance the overall user experience. Get notified for every activity performed on the site. Notify users whenever any subscription status or invoice was changed or updated. Remind users of the expected expiration dates for their subscriptions. Notify users whenever their subscriptions have already expired. Notify users whenever their subscriptions were successfully activated. Remind users to return and complete their orders on the site. Not forgetting these equally nifty features included as well. 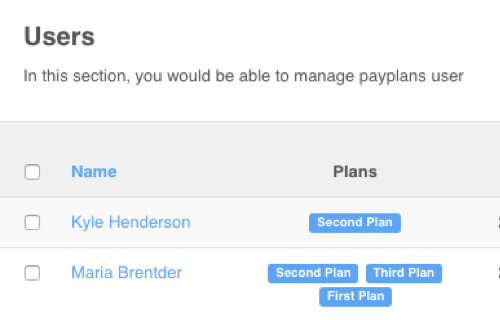 Run automated scripts for purchase certain events in PayPlans. Create referral codes to share among other users for new subscription purchases on the site. Choose your preferred language to maximize a more localized user experience. Logged down detailed actions performed for every record on your site. Generate reports of database into CSV and PDF format.